Imagine that. A New York Times columnist is a self-proclaimed leader of the left-wing politicization of food. In Forbesbook review together with Julie Kelly, we explain how Mark Bittman is the foodie version of a war-monger. And if the pen is mightier than the sword, Bittman is the literary Napoleon of the progressive food movement. He depicts our food system as enemy territory that must be conquered then ruled by the omnipotent culinary elite in Manhattan and San Francisco with support from taxpayer-funded bureaucrats in Washington, DC. Like all good social warriors, Bittman is armed with a plan for victory. The introduction of the book is his “Food Manifesto for the Future,” which lists a number of government-controlled remedies from the rational (limit subsidies) to the banal (mandate more labeling) to the outlandish (offer cooking classes for everyone and even give free cookware and cooking assistance to poor people.) Nearly every solution requires the reach of the federal government—which Bittman refers to as the “entity that is supposed to be vigilant regarding our health and welfare”—and the largess of the American taxpayer. Other entries are somewhat comical, such as his suggestion to convert suburban lawns into vegetable gardens. “If you want to plant a lawn, that’s fine though it’s a waste of water and energy…Lawns are an attempt to dominate and homogenize nature.” Another column fantasizes about his “dream food label” designed as a stoplight for witless American consumers. 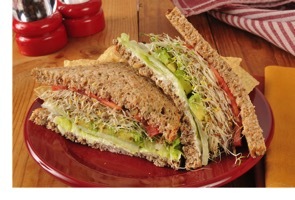 But few of Bittman’s strategies are revolutionary; in fact, many have been tried with limited or no success. Consider his repeated call to limit consumption of soda, sugar and processed foods by children. He cites California’s ban on sugary drinks and restrictions on unhealthy snacks in public schools over the last several years. The result? By 2010, California’s childhood overweight/obesity rate dropped—by 1%. It’s still an eye-popping 38% among adolescents despite massive statewide efforts to stem the crisis. He often promotes taxing unhealthy food to fund subsidies and access to healthier food, such as his idea to convert “soda machines to vending machines that dispense grapes and carrots.” Pushing fresh produce is a big goal for many urban leaders and is being tried at great expense and unknown results. The CDC’s Putting Prevention to Work fund is one such example: The federal government gave local governments money to reimburse corner stores to buy refrigerators to sell produce. Even when food corporations try to satisfy Mr. Bittman’s agenda, he questions their motives and integrity. McDonald’s is one example; it’s a frequent target in his book. He mocks the company’s efforts to please him, writing that McDonald’s wants foodies like “…me to stop kvetching and instead acknowledge that they’re making great strides in promoting health.” He sniffs that “only the most gullible will buy” McDonald’s attempts to offer healthier menu choices. Bittman has pointed to “the decline of McDonald’s” as a win for the food movement. Wal-Mart is another product of capitalism on Bittman’s enemies list. Its efforts to offer more affordable produce is lambasted in the book, claiming the retailer will “beat the living daylights out of produce suppliers, crushing a few thousand more small farmers.” Apparently, to Bittman, inefficient organic farmers are more important than struggling families who want inexpensive vegetables. Wal-Mart is the largest grocery store in America with more than 3,000 stores nationwide and could play a major role in the private market’s attempt to shape eating habits. Instead, the company is ridiculed. But Bittman and his anti-corporate allies insist that industry is the cause of obesity and can’t have a role in addressing the problem. In fact, activists including Michele Simon scoffed when the Healthy Weight Commitment Foundation, a coalition of large food and beverage companies announced a major reduction in calories sold. Now the industry group is funding a study by the City University of New York School of Public Health to assess the impact of the industry’s healthy community programs across the country. No doubt, opponents will show their true colors and scorn the privately-funded science. But make no mistake; Bittman’s battle plan puts little emphasis on people changing their own lives. To him, “personal responsibility” is a right-wing idea that’s been proven wrong. That’s why Bittman finds it necessary to slam the private sector while advocating for shifting more resources, control and power to government officials. 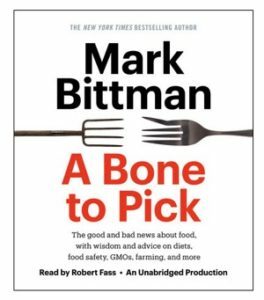 Unfortunately, Bittman’s ideas are the public policy equivalent to the negative attributes of fast food he decries; slickly marketed, bereft of substance, and over time, will lead to buyer’s remorse.